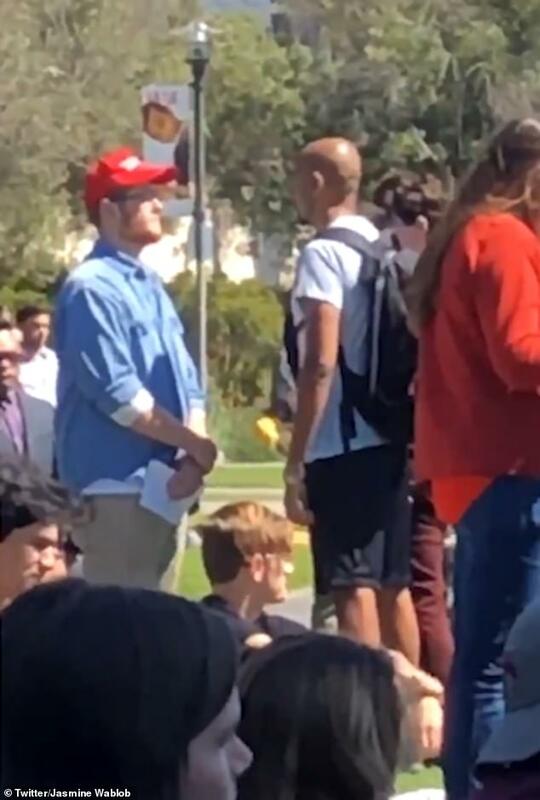 This is the tense moment an ‘incredible man’ stares down another man who wore a MAGA cap to a student vigil for the victims of the Christchurch mosque attacks last Friday. The vigil was taking place at the University of California, Santa Barbara and was organized by the Muslim Student Association. The bald-headed man in shorts and wearing a backpack stares intensely at the man wearing the cap as an announcer says over a PA system that ‘white supremacy is tearing the world apart’. 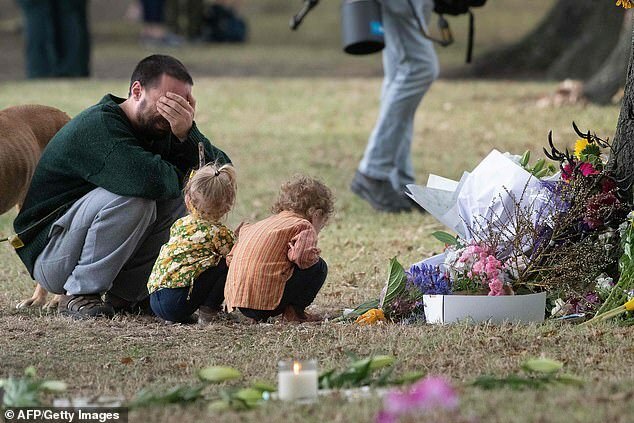 Standing with his hands joined, the man in the hat and blue shirt stares back as dozens of people paid their respects to the 51 terror victims. Around 250 people, including community members, professors, vice chancellors, and university Chancellor Henry Yang, attended the gathering. MAGA (Make America Great Again) was a the slogan of President Donald Trump’s 2016 presidential campaign but the hats have become the subject of controversy in recent months. The video was shared by a Twitter-user called Jasmine Wablob and it shows the picture zooming towards the stand off. In a string of tweets she also made reference to the man in the cap, saying: ‘I hope you rot’. 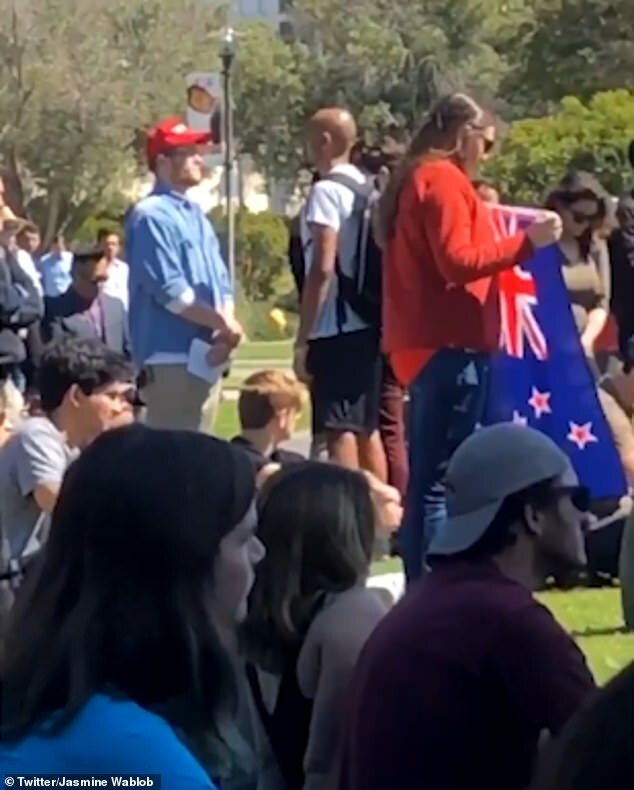 The video echoes a similar incident at York University in Toronto on Monday where a man appeared at a vigil for the victims of the two shootings in New Zealand, again, wearing the red MAGA hat. 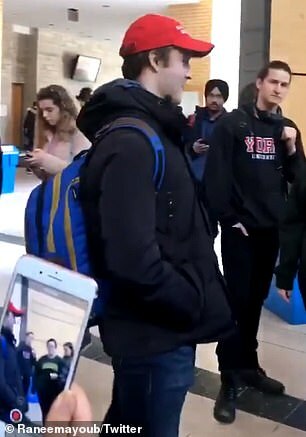 Students accused the man, who has not been named, of intentionally provoking his classmates by wearing the cap to an event for the 49 victims of the Islamaphobic hate crime three days earlier. Several onlookers then begin chanting ‘get out’ at the man. 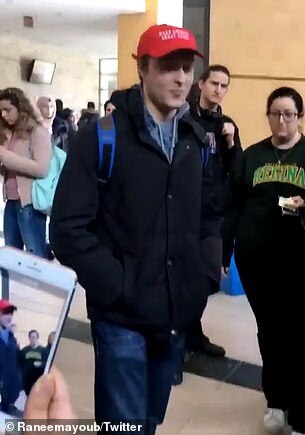 As he turns around to leave, a woman can be seen knocking the hat off his head. 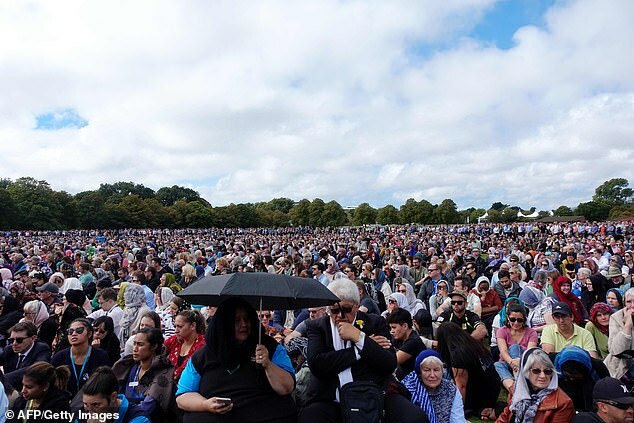 In January, the hat was in the media glare again as an intense debate was sparked when students from a Catholic school in Kentucky showed up to a rally in Washington and appeared to mock Native Americans outside the Lincoln Memorial.